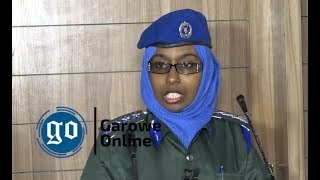 HARGEISA, Somalia - A court in Somalia’s northern breakaway region of Somaliland has on Sunday sentenced a female activist and poet to 3 years in jail for what it said was endangering its independence bid, Garowe Online reports. “We are very concerned about the conviction and sentence of Naima. 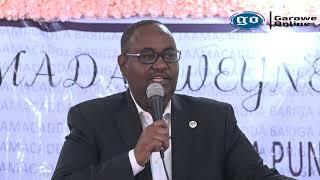 Freedom of expression is enshrined and protected by the Constitution of Somaliland,” said Guled Ahmed Jama, the director of Human Rights Centre. The Centre has requested the government of Somaliland for the immediate release of Qorane who has been living in Mogadishu lately and had met Somali President Mohamed Abdullahi Mohamed Farmajo last year. Prior to her arrest in Hargeisa last year, Qorane had previously claimed to have received death threats and warnings in relation to her advocacy. She attended TEDx in Mogadishu where she presented her Somali Unity poems to the audience. 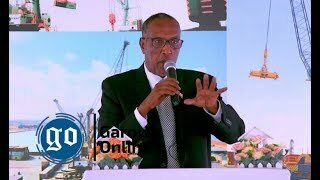 Somaliland has declared its independence in 1991 following the fall of the former military regime, but it has remained unrecognized by the International Community. 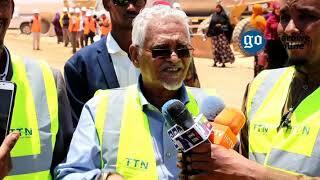 The region has in recent times clamped down heavily on anyone campaigning against what it calls “Somaliland sovereignty”. 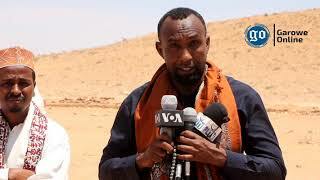 In February 2017, famed local journalist and blogger Abdi Malik Muse Oldoon was arrested in upon returning from Mogadishu, for meeting with Somalia’s President Farmajo following his election.